View of Arrastra Gulch. Division of Wildlife. Bill Clark, Colorado Parks and Wildlife. Photo taken: 5/18/2002. Colorado Watershed Assembly Request for Proposals for the Colorado Healthy Rivers (HRF) Fund Grant Program. This fund grants money to on-the-ground projects that contribute to cleaner water, healthier wildlife habitat, improved recreation and vibrant local economies throughout our state. The HRF program targets two categories of grants, project grants and planning grants. Project grants support projects that promote the improvement and/or protection of the condition of the watershed. The planning category supports development of a successful watershed restoration or protection project. The goal of the program is the implementation of on-the-ground projects to restore and protect the natural resources within Colorado watersheds. Average grant awards range from $5,000 to $20,000. 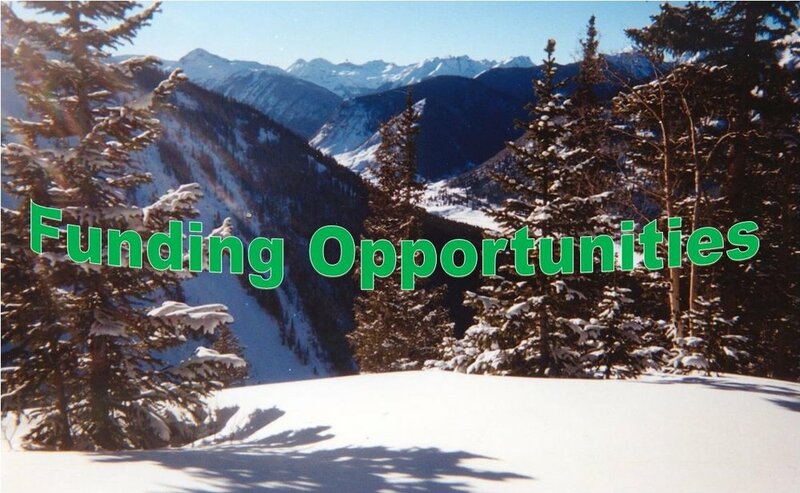 Interested parties can find grant guideline information, the grant submission format and learn more about the Colorado Healthy Rivers Fund Grant Program by visiting the Colorado Watershed Assembly website at http://www.coloradowater.org/hrf/. The deadline to submit applications is April 30th, 2018. Grant Funding Available to Help Colorado’s Front Range Address Water Shortage. To help address water supply issues while protecting the environment and water-based recreation, the Colorado Water Conservation Board makes funds available through the Water Supply Reserve Fund (WSRF). These funds are available through competitive grants and the application process begins by applying through Basin Roundtables. The deadline to apply for a WSRF grant through the South Platte Roundtable is May 1, 2018. Go to southplattebasin.com to review the WSRF guidelines and submit your application by May 1, 2018. You may also email the South Platte Roundtable with your questions at: info@southplattebasin.com.